CloudNovo offers top-notch WordPress web hosting services. An automatic WordPress installation is offered right at signup. With CloudNovo, you can order a WordPress hosting plan together with a new domain name for just $5.79/mo. We offer a ninety-nine point nine percent uptime guarantee and a dedicated round-the-clock customer support service. 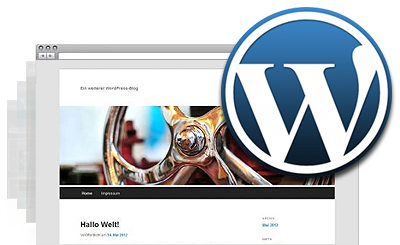 WordPress™ is a trademark of the WordPress Foundation and shares no connection with CloudNovo. CloudNovo guarantees you a trouble-free WordPress web hosting experience. CloudNovo has a first-rate WordPress-optimized hosting platform. CloudNovo satisfies and surpasses the basic requirements for hosting WordPress-based web sites. CloudNovo offers an excellent technical support service.